For anyone who worked with PCs during the 1980s they remember MultiTech as a major player in the world of modems. In a world where tech companies are acquired or go out of business seemingly faster than it takes the light from the screen you’re reading to reach your eyes, this company has innovated and stayed in essentially the same business they have always been in, helping machines communicate with one another. As the company continues to grow in what we now call the M2M or IoT space, I sat down with Sara Brown from the company to learn about the company’s IoT SocketModem Cell for 4G-LTE Cat 1. Allowing upload speeds of 5 Mbps and download of up to 10 Mbps, it’s designed for 2G replacement as well as use in solar devices or others where power is scarce. 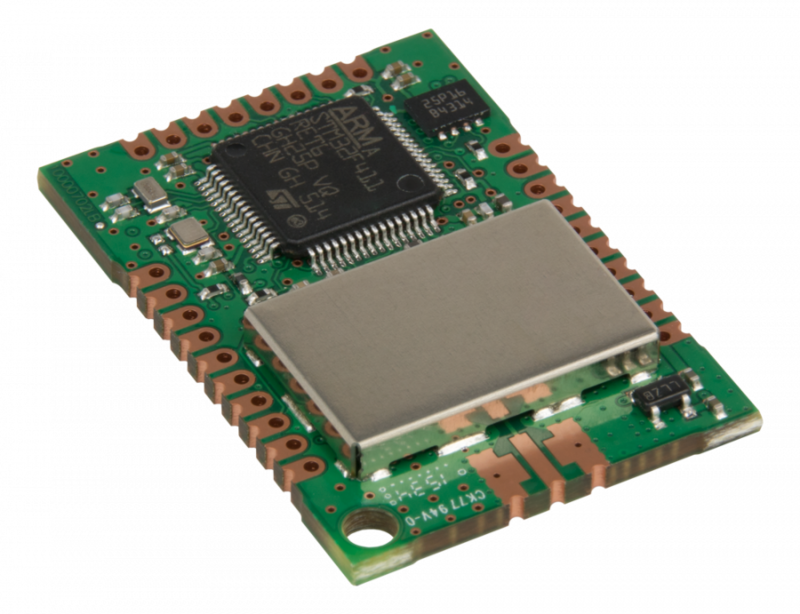 In other news the company announced MultiConnect xDot, an ultra low-power endpoint module optimized to communicate over LoRa. The unit uses less than 2µA and even less in deep sleep. A word on range – vendors are telling me expect 1-3, possibly 5 km of range with this new protocol – theoretical is 15 but its not real-world. Sara also shared the battery drain from the device is likely lower than the battery’s own lifecycle meaning 5+ years of battery life is possible. My colleague Ken Briodagh has details about the news and more on MultiTech deploying a LoRa network in China.